This week, the Bureau d’Études, de Recherches, et de Consulting International (BERCI) and the Congo Research Group (CRG) at New York University will be publishing a nationally representative political opinion poll taken in the first week of July 2018. A summary of the results are below; the full report can be accessed here. The December presidential elections will be highly contentious. Sixty-two percent of those polled do not trust the National Independent Electoral Commission (CENI) to carry out free and fair elections, and the same percentage does not have faith that courts will decide electoral disputes fairly. A plurality (45 percent) says that if President Kabila’s candidate wins, they will not accept the results. Around half of the respondents said they would participate in a demonstration if elections are rigged or delayed. In the race for the presidency, the opposition is still far more popular than the ruling coalition. However, Felix Tshisekedi, Jean-Pierre Bemba, and Moise Katumbi are now in a statistical tie at between 17 and 19 percent. Bemba has climbed 16 percent since our November 2017 poll. If the opposition does not unite and the electorate splits its vote, our results indicate that the ruling coalition could win as large a share of the vote as each opposition candidate. Indeed, if all of the potential candidates in President Kabila’s coalition were to run, they would together obtain around 19 percent of the vote (15 percent without Adolphe Muzito). Should the opposition have a common candidate? The question has become all the more important after Bemba’s release; 57 percent of the respondents would like the opposition to unite behind one candidate for the presidential election. Respondents favored Moise Katumbi (28 percent) and Felix Tshisekedi (26 percent), and Bemba (20 percent) for that position. There is widespread approval for the release of Jean-Pierre Bemba from the International Criminal Court, a decision published several weeks before the poll took place. Eighty-three percent thought his acquittal was a good thing, compared with 66 percent who thought his sentence was unfair in the poll we conducted in October 2016. Nonetheless––or perhaps because of his acquittal––a majority of Congolese (68 percent) still have a good opinion of the International Criminal Court (ICC). The campaign for a third term for Kabila is gaining steam. Compared with last February, the number of people who would vote for Kabila has increased slightly from 6 to 9 percent at the national level, and from 21 to 37 percent in the former Province Orientale, his last and only stronghold. Finally, respondents are fairly evenly split on whether elections should be delayed so that the process can be rendered more credible. Thirty-six percent are not in favor of revising the voting register to eliminate irregularities and a similar percentage says it does not want to change the distribution of seats to reflect corrections to the electoral law. Still, despite their impatience, 66 percent of the respondents are not in favor of electronic voting machines. 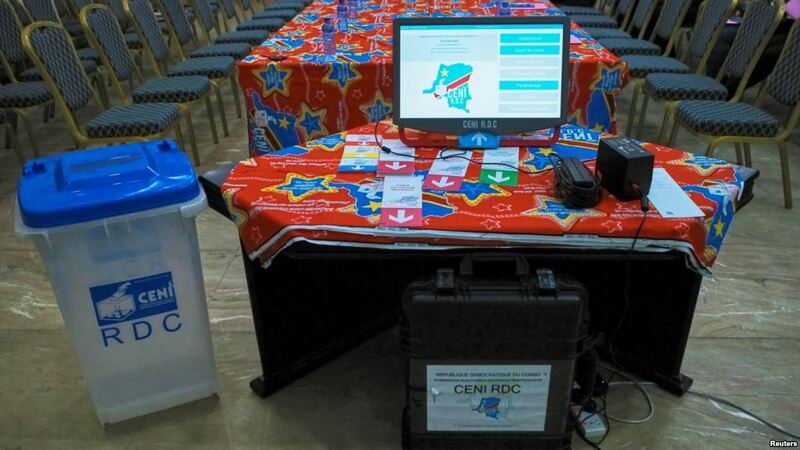 The poll consisted of 1154 telephone interviews of Congolese aged 18 years or above across the 26 provinces of the country selected from a list of 2000 cell phone numbers obtained from a BERCI/CRG face-to-face nationally representative poll in 2016. The response rate was around 57 percent. The margin of error was +/-3 percent .